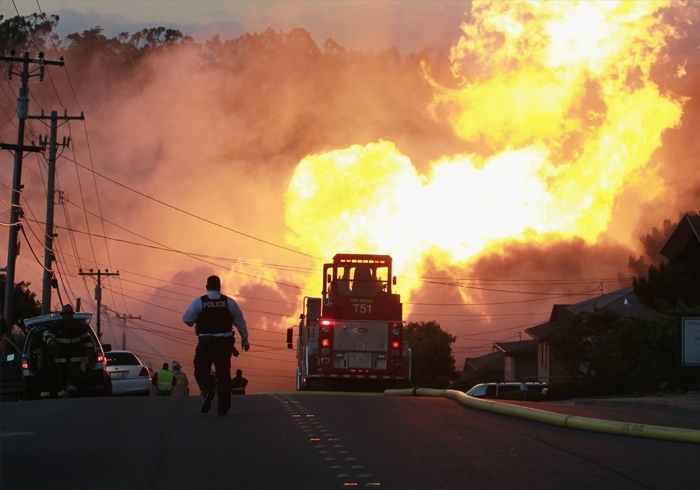 California regulators recommended Monday that Pacific Gas & Electric Co. pay a record $2.25 billion fine for decades of negligence that led to a deadly gas pipeline explosion that leveled a San Francisco Bay Area neighborhood. The penalty would be the largest ever imposed on a utility company by a state regulator, officials said. The California Public Utilities Commission’s investigators said the fine was an appropriate remedy for dozens of safety violations extending back several decades, and said the company’s shareholders should shoulder the cost, not the utility’s customers. The National Transportation Safety Board unanimously agreed in 2011 that the accident was caused by what board chairman Deborah Hersman called a “litany of failures” by PG&E, as well as weak oversight by regulators. Separate from the NTSB investigation, investigators at the utilities commission blamed PG&E for the explosion, which occurred when an underground pipeline ruptured at the site of a decades-old faulty weld, sparking a massive fire. Commission investigators and consumer advocates filed a range of proposals for fines Monday. The City of San Bruno, which is still struggling to rebuild the neighborhood devastated in the blast, said earlier Monday that the utility’s shareholders should pay no less than $1.25 billion in fines, plus at least $1 billion toward pipeline inspection and upgrade costs. PG&E will file its proposal later this month, and a judge from the utilities commission is expected to make a final decision about how much to fine the company later this year. Consumer advocates said the fine the commission proposed was appropriate, given the company’s myriad violations before the explosion and an outside consultant’s finding that PG&E could raise $2.25 billion in equity to cover fines without damaging its financial condition. The proposal calls for the $2.25 billion to be directly invested in safety testing, replacing and upgrading hundreds of miles of PG&E’s gas transmission lines, rather than being sent to the state’s general fund. That means the company would be able to claim the penalty as a tax deduction, Hagan confirmed.